How do I change the invoice currency? You can select the desired currency by clicking on Your name (bottom left corner) → Company settings → General → Company details → Default hourly rate and select the desired currency. 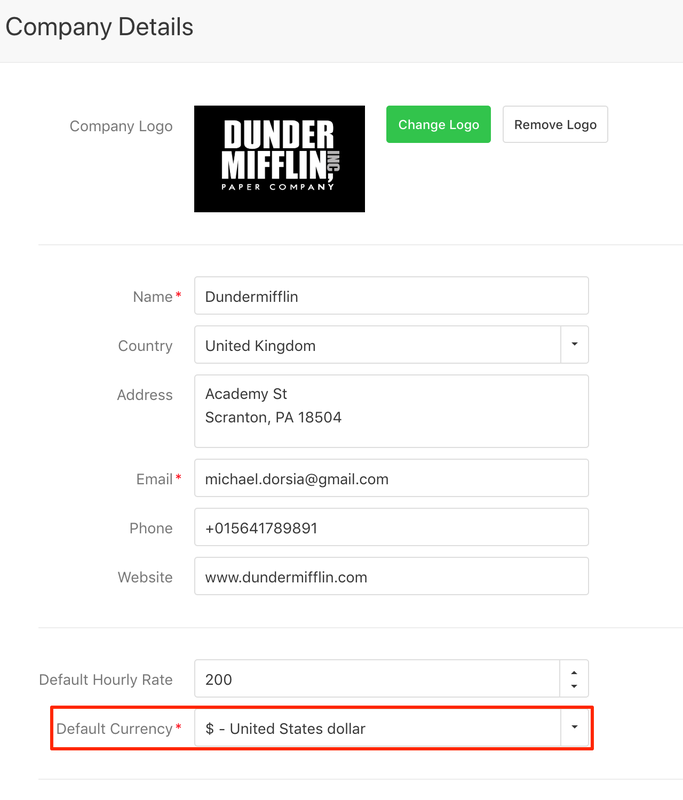 You can also select the currency when you create an invoice.